Summertime is definitely shorts weather! We’ll even have t-shirts, tote bags, and subscription packages available for sale! Please join us! 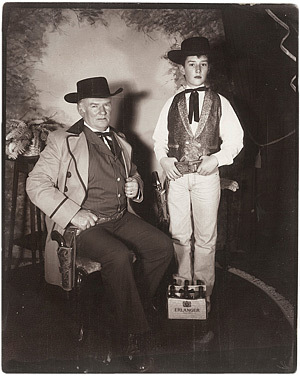 Trevor tries to have his photo taken with his father. If you’re always looking at the road ahead, you’ll miss what you’re passing. They’ve stuffed their faces with burgers and burritos and toured Rodeo Drive and Venice Beach, which means all that’s left is a hike up to the famous Hollywood Sign. 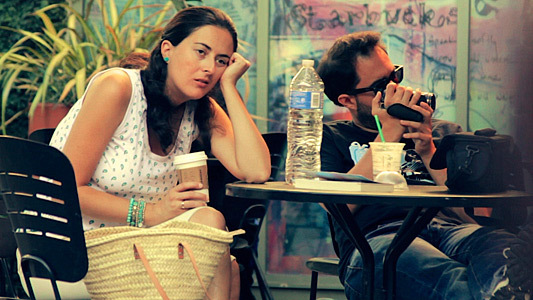 But after a week-long honeymoon in Los Angeles, Spanish newlyweds Nacho and Cristina can barely stand each other. A red ball bounces past a café and a couple of folks’ houses and then goes to the beach. Daniel Scheinert: [T]his film grew out of a desire to celebrate our most embarrassing brain farts. Daniel Kwan: …and hopefully figure out what it means. You know…life and whatever. Daniel Scheinert: Who are we? Why are we Daniels? Daniel Kwan: Why is someone giving us money to make things like this? Sick of the pressure from his parents to become successful on Planet Earth, Anthony Coulier impulsively became a space explorer. Although lured to space by the promise of action, adventure, and glory, he now battles space travel’s greatest obstacle, boredom. Now in between planets, and with mission operations under control, he becomes restless and argumentative with a focused crew that keeps to themselves. Loneliness sinks in. Maybe intergalactic space travel isn’t his schtick. 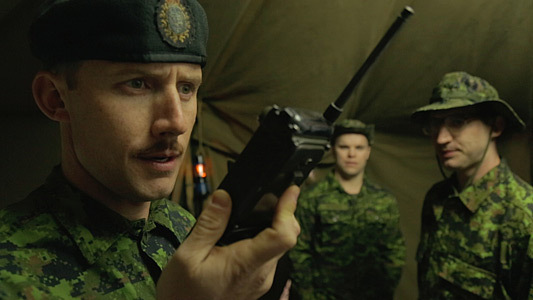 Bobby Reddick’s fun-filled weekend in the Canadian part-time army comes to a screeching halt when his camp receives an urgent distress call. Join us as we escape the summer heat for a few hours! The Facebook RSVP is free, advance tickets are (still!) $10, and door tickets are just $12.